In addition to being a 7-string virtuoso, composer Alexei Agibalov is a forward-thinking artist in the territory of classical guitar in the former Soviet Union, searching for new modes of expression for the Russian guitar. 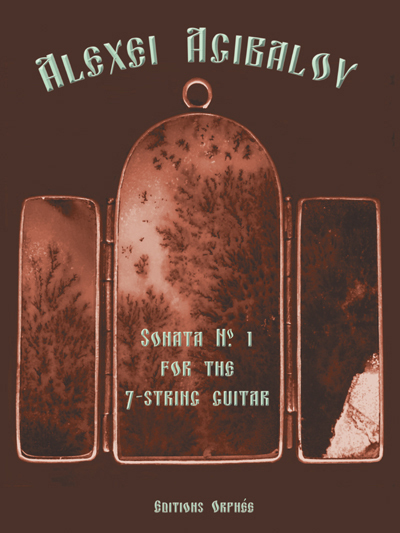 This Sonata for the 7-string guitar exemplifies his influences of the Kyrgyz folk themes, evoking the cultural dichotomies faced by Russian artists in the wake of the diaspora created by the fall of the Soviet Union. For advanced players.